Do you want to meet new friends next year? Gain experience? Have fun? And discover Germany? - As an au pair in Germany you live in a host familiy for a year and help with child care an household. As an au pair, you can live with a German host family for a maximum of one year: you are a temporary member of the family! Your job: taking care of the family’s kids and helping with light household duties. An au pair stay will be for a minimum of six and a maximum of 12 months. The host family will take care of your stay: you will normally get your own room, a monthly allowance and free meals. It will contribute a certain amount to your language school and make sure that you are covered by a health and accident insurance. Your rights and duties and those of your host family will be agreed in writing in a contract. 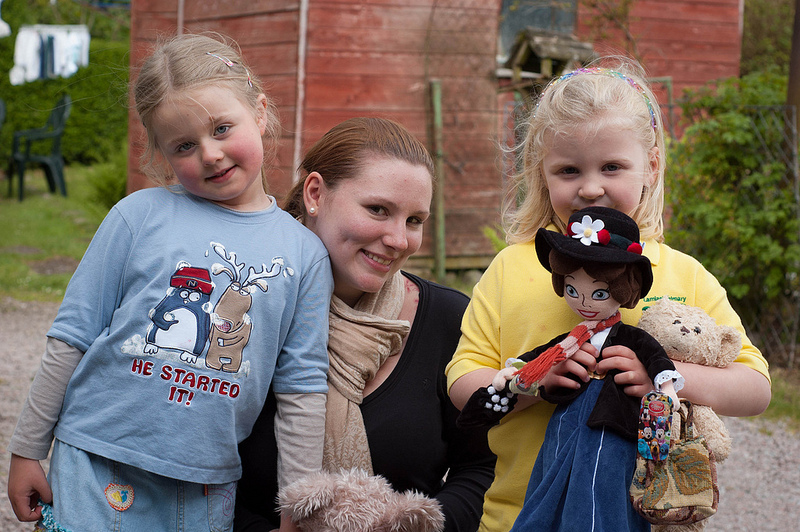 How do I find an au pair placement in Germany? In the Federal Republic of Germany, au pair placements are arranged almost exclusively by non-public placement agents. here are au pair agencies in almost all German cities and regions. It is important to compare the range of services they offer: at any rate, the agency should fully and clearly inform you right at the start about the schedule and the content of your stay, support you with the formalities of your entry to Germany, be available for you as a contact and at any time during your entire stay. It may be helpful to have an opportunity to regularly share experiences with other au pairs. Most agencies are affiliated to the denominational umbrella organisations IN VIA and vij or to the non-denominational Au-pair society. The ‚Gütegemeinschaft Au-pair e.V.‘ (Quality Association Au Pair) was established the participation of these three au pair umbrella organisations and the support of the Federal Ministry for Families, Senior Citizens, Women and Youth (Bundesministerium für Familie, Senioren, Frauen und Jugend). The agencies of the Quality Association guarantee that they comply with quality standards for a safe stay in their placement activities. Their work is audited regularly and they have been certified to bear the ‘Au-pair Incoming’ RAL Quality Seal.